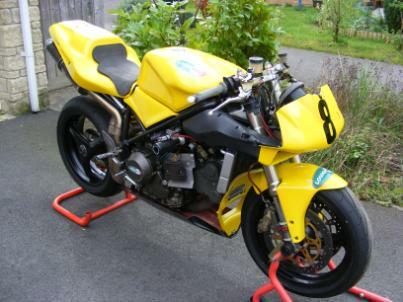 Ducati 916 - prepared to be raced in the ThundersportGB Golden Era Super Bike class - called Darth Vader by us. 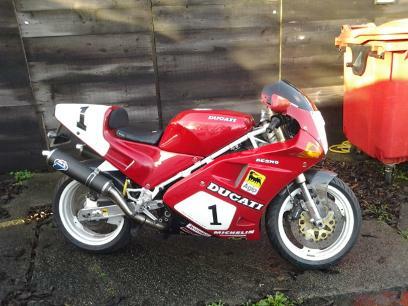 Ducati 900SSie - Prepared as a track day and day time only MOT bike. Rebuilt engine, exhaust header system and modified frame. It's owner used to ride a 900SS bevel so we took some design cues from that - Single cafe racer seat, large nose fairing etc. 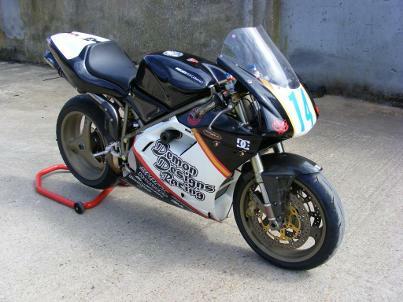 OK so you will have seen this bike a few times in our web site but I like it. It is an example of the excellent standard to which we can prepare your bike. If its for racing we will prepare and lock wire to ACU standard. It helps being a trained aircraft engineer and a scrutineer at ThunderportGB race meetings. If it's for track day use we will prepare and lockwire to your requirements. Call for further details or contact us. 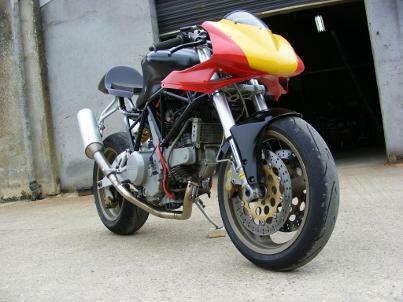 Ducati 800SSie - being prepared for Supertwin and Streetfighter class racing next year for a valued customer. At this time we have not yet named this machine. It will be christened soon though!! Update - now named Beatrice. More importantly all who have riden this bike think it handles brilliantly including Al Fagan from Fast Bikes magazine - see their September 2013 issue!!! 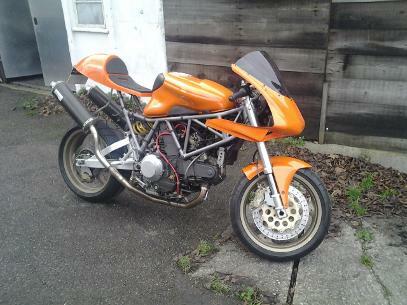 Ducati 851 - my latest purchase for road and track days. Except for some carbon parts its absolutely standard.